Listening to the Royal Commission into Banking is hard work – particularly if you’re a broker. The opening weeks of the Royal Commission have focused on the home lending practices of the banks. As over 50% of all home loans are written by brokers, there has been much discussion about brokers and ethics, with tales of fraud, misconduct, and questionable broking practices shared. For the media, the Royal Commission is a gift from the heavens. Nothing makes better front-cover news than bank executives being hauled over the coals while aggrieved consumers spill stories of villainous brokers and greedy banks. Without wanting to belittle the experiences of those who have been disadvantaged by unethical bank or broker behaviour, what is clear is to me from the Royal Commission is that such negative instances are overwhelmingly in the minority. They’re a small drop in the ocean when compared to the thousands of clients who have benefited from the work of and support of brokers. In many ways, the Royal Commission is a free PR kick for banks. It is convenient for banks to highlight the ills of brokers at a time where consumers are voting with their feet and choosing to use brokers in increasing numbers. Over the 15 years I have been a broker, the market share of broker-originated loans has increased from around 32% to somewhere around 53%. Banks blaming brokers just might be the best (and only!) card the Big 4 banks have left to play. They’re desperately seeking to divert the spotlight from their own sins as customers stream out of the banks and use brokers in ever-increasing numbers. On the back of all this, the public are being exposed to a barrage of articles (such as this one written by The Age’s Jessica Irvine) which suggests that broker commissions must be abolished. It is a difficult article to read – partly because it is hard to follow and consists of many unsupported allegations – and partly because it attacks my industry, and by default myself. Ideally, I would let my work speak for itself. But the disinformation swirling around the Royal Commission courtesy of the media deserves to be better unpacked, which is why I will address some of the main “charges” being levelled against brokers in this month’s blog. Whilst it is true that banks have bought increasing stakes in broking groups (Macquarie Bank owns 25% of my broking group, for example) – I have no evidence of brokers writing loans based on who owns their group. Over the past decade the Big 4 lenders have lost market share to second tier lenders. The lenders winning market share are those offering a strong consumer proposition involving better and faster service, rates that are the equal of (or better than) the Big 4, and a greater ability to workshop deals and help brokers find solutions for clients that might not otherwise get found. Since Macquarie bought a share of my head broking group, it has gained more business from me (around 12% of loans settled in 2017). Not because it benefits Macquarie or me, but because the bank has demonstrated that it offers a good product at a good rate and delivers a service level for customers that is good and reliable. It simple terms – they have won business because it benefits the client. Pre-GFC I might have used 6-8 lenders with 2-3 lenders each winning more than 25% of the loans. A decade later, I have used 19 lenders in the last 12 months with only 3 lenders getting more than 10% of that business (and none getting more than 17% of the total business). I don’t think I have seen or heard of a volume-based incentive for brokers in at least 5 years. They do exist at the broker group (aggregator) level. They are wrong, and they should not be offered. The industry has acknowledged this, and the few that remain will be gone shortly or become better aligned with good customer outcomes. Soft dollar incentives come in two forms. One is eligibility for “broker clubs” run by banks which gives the broker access to better/quicker service from the bank and the other is entertainment and hospitality. Some banks run broker clubs and others do not. I was a member of one with a Big 4 bank at one point, but no longer. It allowed me to achieve some great results for clients and undoubtedly won me referrals. I have mixed views about the validity of “broker clubs”, but the industry has taken the view that such clubs need to focus on more than rewarding brokers based on metrics other than volume (e.g. quality of applications). In terms of entertainment the biggest “reward” I can recall receiving was a ticket to a corporate box at the football. At the time I received that gift the lender was getting minimal business from Hatch. That did not change. As with “broker clubs” the industry is moving to set out clear standards around this. When recommending lenders/loans to a client we look at a clients’ needs. That begins with assessing which lenders will lend to the client, before examining which lenders have products that meet the clients’ needs in terms of features or functions. 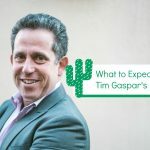 Everything being equal up to this point, we look at considerations such as interest rate – but of equal relevance is the ease of dealing with and speed of service from the lenders. Clients want a smooth process and they don’t want headaches getting the loan or post settlement. Speed of service is sometimes vital and is in a clients’ best interests. There is no legal obligation to this effect, at present. The legal standard currently is to choose a loan that is “not unsuitable” for the client. But all brokers are members of industry bodies that require brokers to adhere to a code of conduct that expressly requires them to act honestly and fairly. Brokers have helped thousands of consumers to achieve outstanding outcomes that put the consumers in a far better place then they may have been previously. There are many possible reasons why broker loans might be any or all of these things. For example, Hatch does a lot of work with first home buyers because we are very good at supporting and educating them as they nervously progress through buying their first home. Typically, first home buyers have smaller deposits so borrow at higher loan to value ratios. They often want an interest-only window at the start of the loan as they look to direct funds towards buying furniture, fixing up their property etc. They are also at a stage in their life where they may be starting a family, which slows down their ability to repay the loan. Rubbish! Most brokers do an excellent job because it is irrational to do otherwise. 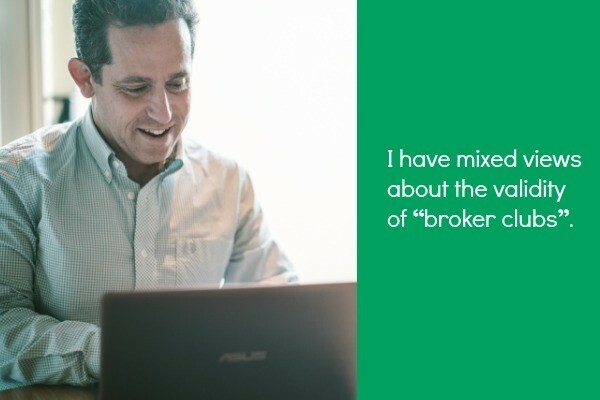 Broking is a word of mouth business (even for brokers working under well-known retail brands). For the overwhelming majority of mortgage brokers, their 2 principal sources of business are returning clients and referrals from happy clients. So, a broker’s business plan is simple. Once you find a potential client, work really hard to do the best for the client and when you have done that, do it again and again and again. And never stop. I believe that great service is rewarded with referrals and doing the wrong thing by a client will be punished by a lack of referrals and losing the client. The fact that brokers are paid commissions based on loan size certainly creates a risk that they write loans larger than their clients require. But it is how this risk is managed that matters, not that it exists. And to put things in context, ASIC found that the average size of broker loans was $451,000 compared to the average size of bank loans which is $420,000. That makes broker loans 7.3% larger. There might be reasons why broker loans are larger. They could reflect a better understanding of client needs (for example building in a buffer in case of an emergency) but if that is not the case, the difference in loan size does not suggest an unacceptable problem or risk. The push to abolish commissions for brokers will kill the industry. A large part of the brokers’ value proposition is that consumers get a great service at no cost to them. If they have to pay a fee at the levels brokers need to charge to provide their service, a large percentage of consumers will choose to DIY their loan. Removing commissions will push consumers back to the banks, and especially the Big 4 with large retail and distribution networks. Lessening competition will never lead to better consumer outcomes. The birth and growth of the broking industry demonstrates unequivocally that the majority of consumers do not want to deal directly with banks. If consumers are going directly to banks who is giving them advice on what is in their best interests? There is no obligation for banks to act in the customer’s bests interests – and certainly no bank is going to tell a customer they can get a cheaper or better home loan across the road. Anecdotally, customers tell me that the staff at banks don’t offer any of the advice, guidance or support that we provide. So where to from here? Last year ASIC did a review of mortgage broking remuneration and following on from the recommendations and findings of that report the broking industry set up a combined industry forum (CIF) and invited consumer groups to participate. The CIF has proposed a range of changes to industry practice. that broker commissions be based on loans drawn down and utilised rather than loan limits. This will remove the incentive for brokers to set up a loan for the max amount possible without there being a solid consumer benefit for doing so. That “broker clubs” (where banks give brokers higher service levels once they submit a min level of business) place emphasis on factors other than loan volume, such as quality of loan application and that the benefits of the broker club do not include preferential customer discounts. Improved governance and oversight of brokers by the industry itself. The CIF’s guidelines work to respond to the many charges levelled at brokers as ‘myth-busted’ in this blog. And whilst I’ve taken care to go into detail about the many accusations accosting my profession – what consumers really need to understand is the brokers even the playing field and provide better outcomes for mortgagees. The Royal Commission and media swarm over a handful of unfortunate cases of professional dereliction – but they in no way represent the vast body of experiences had and loans written. In short: support your local broker. We’re here to help.